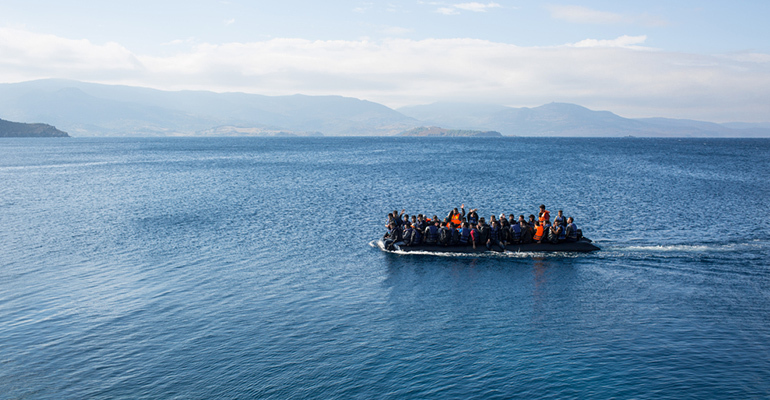 The Australian government’s human rights approach to refugees, Indigenous people and those with disability has been slammed by an annual review, which warns that Australia is at risk of breaching its international human rights obligations. 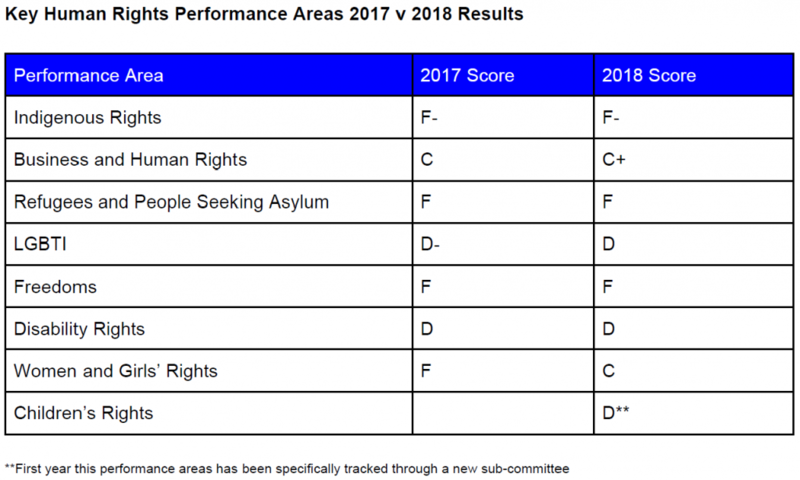 Australian Lawyers for Human Rights’ (ALHR) 2018 Human Rights Report Card scored Australia poorly on key areas including Indigenous rights (F-), refugees and people seeking asylum (F) and freedoms (F). While the federal government was praised for introducing a Modern Slavery Act, the review noted Australia faced persistent criticism by multiple United Nations bodies for failing to protect basic rights for asylum seekers and vulnerable Australians. ALHR vice president, Jarrah Ekstein, told Pro Bono News that 2018 was a mixed year for human rights in Australia, though she said there were some improvements when compared to 2017. “A significant high point was the passage of a Human Rights Act in Queensland,” Ekstein said. But Ekstein said 2018 saw new lows in the form of federal government encroachment on Australians’ right to privacy and the rule of law under the guise of new national security legislation. “We have also observed a worrying trend of very short, poorly publicised consultation with the public and relevant sectors in relation to proposed legislation which impacts on the human rights of Australians,” she said. 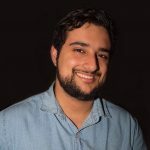 ALHR called on the Australian government to bring every person transferred to Manus Island and Nauru to safety, and said the government had legal responsibility to ensure the protection of people subject to offshore processing. The review also criticised the Australian government’s cuts to the Status Resolution Support Service (SRSS). Ekstein said the cuts breached international human rights law that states all people have a right to an adequate standard of living, regardless of their migration status. “In ALHR’s view, the federal government’s cuts to the [SRSS] breaches Australia’s international obligations because it has left many vulnerable people, including children, without access to basic living allowance and support services, including access to mental health counselling for torture and trauma survivors,” she said. In regards to Indigenous rights, the review said there had been no progress towards reconciliation, civil, political, economic, social or cultural rights for Aboriginal and Torres Strait Islander people. The report criticised the government for slashing $1.5 billion dollars over four years from remote housing, and leaving Western Australia, South Australia and Queensland without an Indigenous housing funding agreement in early 2018. “When it comes to Indigenous communities, the federal government is failing to live up to its international legal obligations… Without a right to housing Indigenous disadvantage is further entrenched,” the report card said. ALHR also urged the federal government to end the “punitive and systemically racist” Community Development Program, which it said served only to entrench poverty and ensure that Indigenous people remained marginalised. Disability rights scored slightly higher than other areas with a grade of D, but the ALHR noted a number of concerns with the rollout of the National Disability Insurance Scheme. This included people with mental illness struggling to access the scheme, inadequate transport funding and unnecessarily long wait times for NDIS plan reviews. Ekstein said she was optimistic 2019 would be a better year for human rights in Australia, because of a deepening public awareness on human rights issues. She noted growing momentum for the introduction of a Human Rights Act at a federal level, public pressure to remove all children and their families off Nauru, and a strong public reaction to discrimination against LGBTQI+ students and teachers in schools. She said ALHR would be continuing to push for a Human Rights Act at federal, state and territory levels. “We will also be focusing on Australia’s compliance with its obligations to protect the rights of children and young people, since Australia will be reporting to the United Nations Committee on the Rights of the Child this year,” she said. Why you would rate disability performance Do much better than others ….